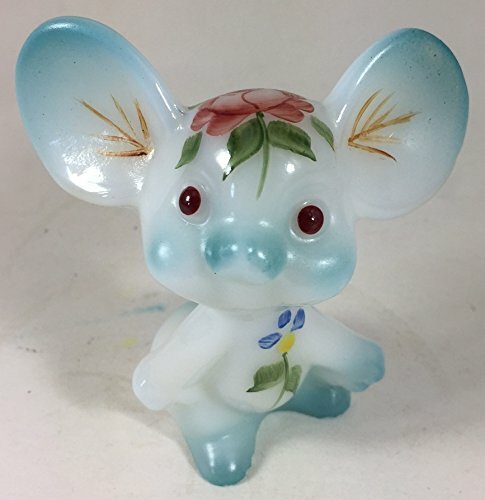 You are purchasing a Mouse Figurine made by Fenton Art Glass. It was Airbrushed and Hand Painted by Ernie Brown. 3" in height - Made in the USA! 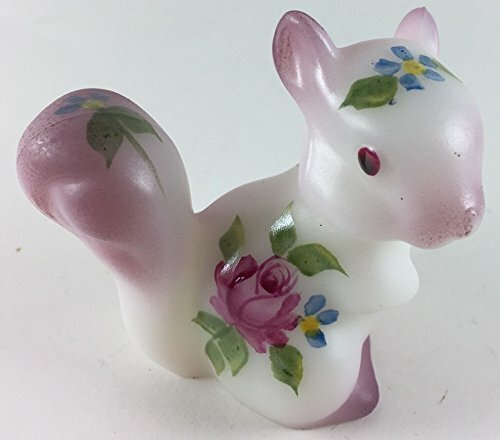 This is a 2 3/4" Fenton Milk Glass Squirrel. Each one of these are individually Hand-painted by Ernie Brown, an artist from the old Westmoreland Glass Company. They are painted with a Rose, and Floral Design, along with Airbrushing on the tips. Each one is signed E.Brown. Made in the USA. 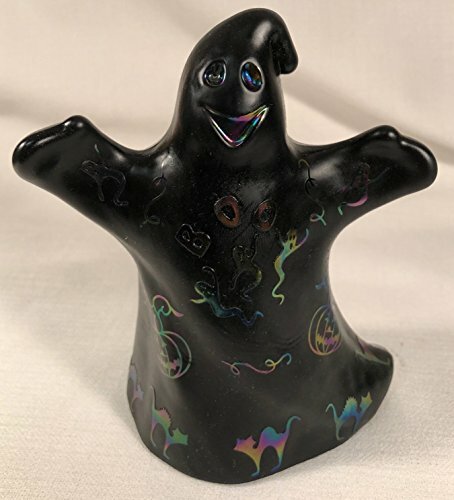 This is an Awesome Fenton Art Glass Ghost! It was Sand Carved exclusively by Rosso Glass. 5 3/4" in height. Made in the USA! 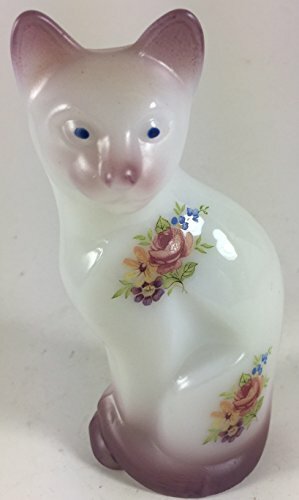 This is a beautiful Fenton Art Glass Stylized Sitting Cat. It has been Hand painted by Ernie Brown. It is signed by the artist E.Brown. It was airbrushed with a tipping on the edges. Kiln fired to preserve the paint. This is a beautiful piece of an American Treasure. Made in the USA! 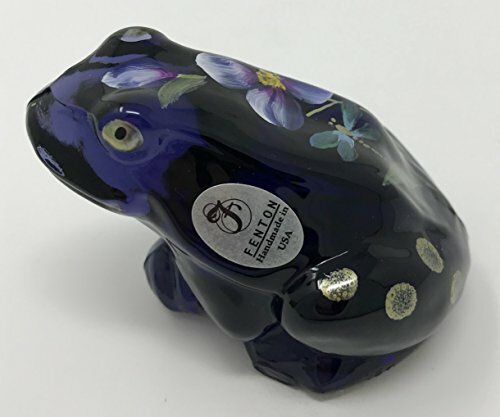 This Fenton Art Glass Frog Figurine is done in a deep dark Violet. The Frog is handpainted and signed by the artist. Done in a floral motif with a dragon fly. The color in some light looks almost like a deep cobalt blue with violet undertones. The Frog measures 3.5 inches long. 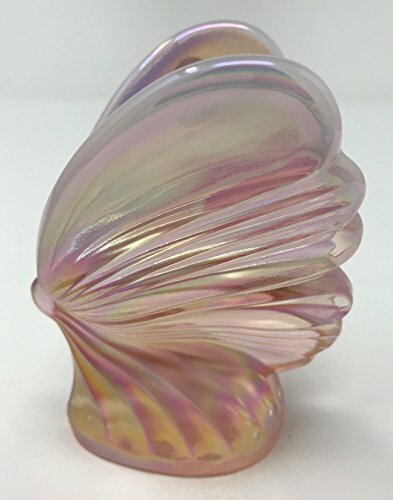 This Fenton Art Glass Butterfly Figurine is done in Champagne Satin. A light neutral color with shimmering presence, Champagne Satin is an opalescent color. After each piece is pressed, it is allowed to cool slightly. It is then reheated before the finisher gives it a final flare. Reheating the glass causes the edge to strike white. A lovely complement for natural tones. Measures 4.5 inches tall. 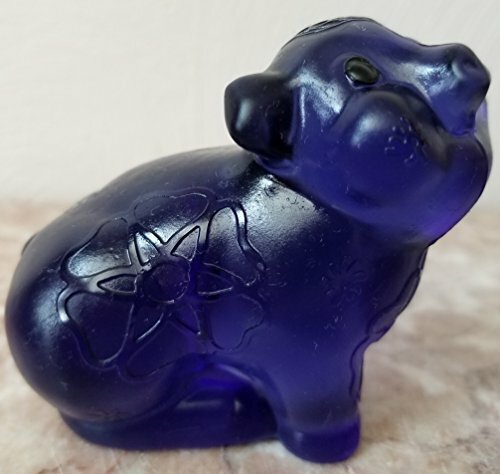 ONE OF A KIND - Fenton Cobalt Blue Sand Carved Solid Glass Pig. The Pig was made by Fenton and Beautifully Sand Carved outside the Factory by Phil Rosso. 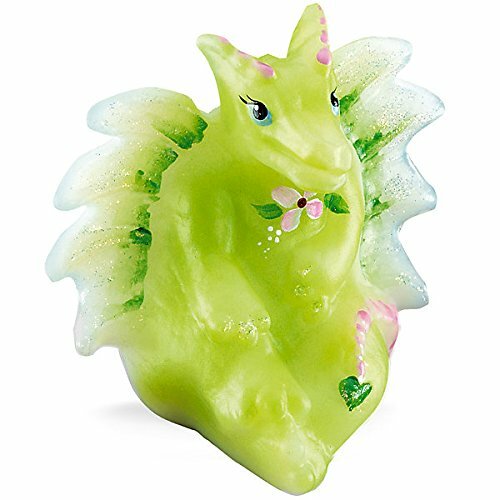 The Sand Carvings have a Shiny Glass Finish and the rest of the Pig has a Frosted or Satin Finish. It stands 2 1/2" in height. There is a air bubble under the surface on the Pig's Rear end (see photo). No Chips or Cracks. 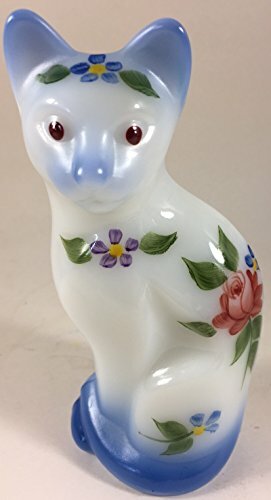 Looking for more Fenton Glass Figurines similar ideas? Try to explore these searches: Sports Fan Lamp, Rudder Strut, and 300 Feet 40 Paper Roll.